The Washington State Department of Corrections (DOC) reversed its decision to ban book donations from nonprofits after outcry from the public and local lawmakers, including WA Governor Jay Inslee, voiced questions about the ban. DOC had previous enacted the policy banning direct book and comics donations from nonprofits without warning to those organizations impacted. DOC claimed the change was necessary after a recent increase in illegal items, and cited 17 incidents where books were used to smuggle the contraband in. Except Joseph O’Sullivan, staff reporter for The Seattle Times obtained a reporting of these incidents, and the DOC’s own records tell a very different story. According to O’Sullivan, of the 17 reported incidents, 12 have absolutely nothing to do with books at all, but instead involve things like an inmate being ‘booked for contraband’ and another where “an individual was caught with contraband by officer Booker.” It seems possible, and even likely, that the DOC just ran a search for the terms book and contraband, and handed over the list without even reading it. Of the five remaining incidents on the list, one involves a shank being discovered on a bookshelf. The remaining incidents involve drugs being found in books in the prisons. In 45 years, our books have never had contraband. 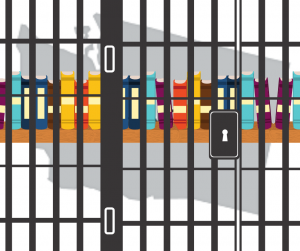 Given that we’ve sent books without issue since 1973, and currently send to 12,000 unique prisoners across almost every state in the country each year, it would be bewildering if after 46 years of work as an award-winning nonprofit we decided to start transporting contraband. And the list DOC provided only reinforces that book donation programs likely aren’t involved in smuggling contraband into prisons, but instead a straw man for DOC to use to censor reading material. “I am now reaffirming that the department will continue to support the receipt of donated, used books,” added Herzog, who wrote the original memo changing the policy. Herzog also directed correctional facilities to review and strengthen protocols for screening books that come through prison mailrooms to make sure contraband isn’t getting in. 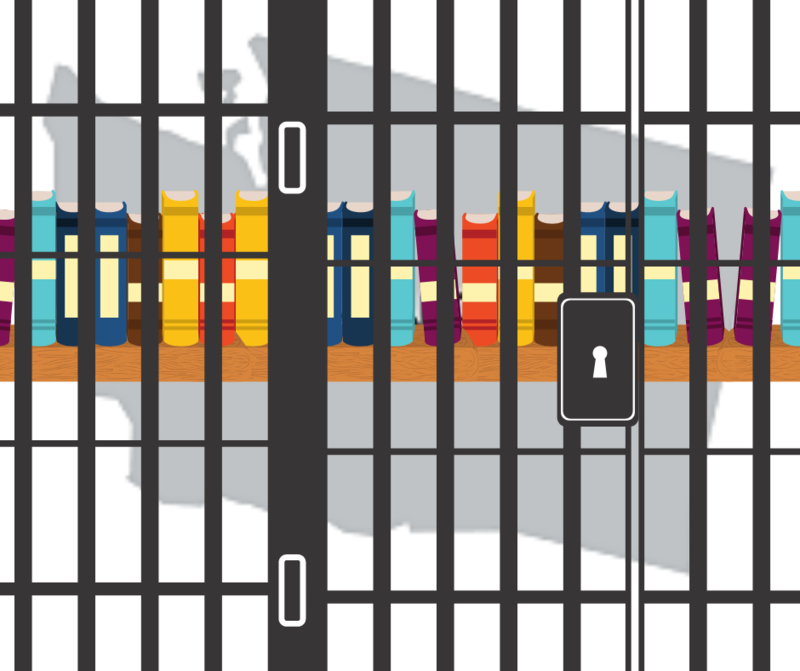 Nonprofits all around the country assist underfunded institutions and economically insecure inmates by providing, not just free access to books and graphic novels, but by providing a safe reliable and free way to assure that those materials are thoroughly checked for adherence to strict institution guidelines. These organizations rely on volunteers for the labor and offer families and inmates an alternate to having to buy books when they may not be able to afford it. Herzog’s implication that these books require additional screening is not only baseless, but destructive in the long run to the work that these nonprofits do. Comics and books on How to Draw are among the most frequently requested for book donation organizations. Comics have Long been used to increase literacy (including visual literacy), establish reading for enjoyment habits, and spark interests in a myriad of subjects. Books that offer information on art and drawing help create constructive hobbies that inmates can participate in with relatively inexpensive supplies, and add to the culture of self-improvement that should be embraced by DOC instead of banned. If you’re interested in donating some of your used comics and art books to inmates who can give them a second life, check out this CBLDF resource with book donation programs broken down by location.